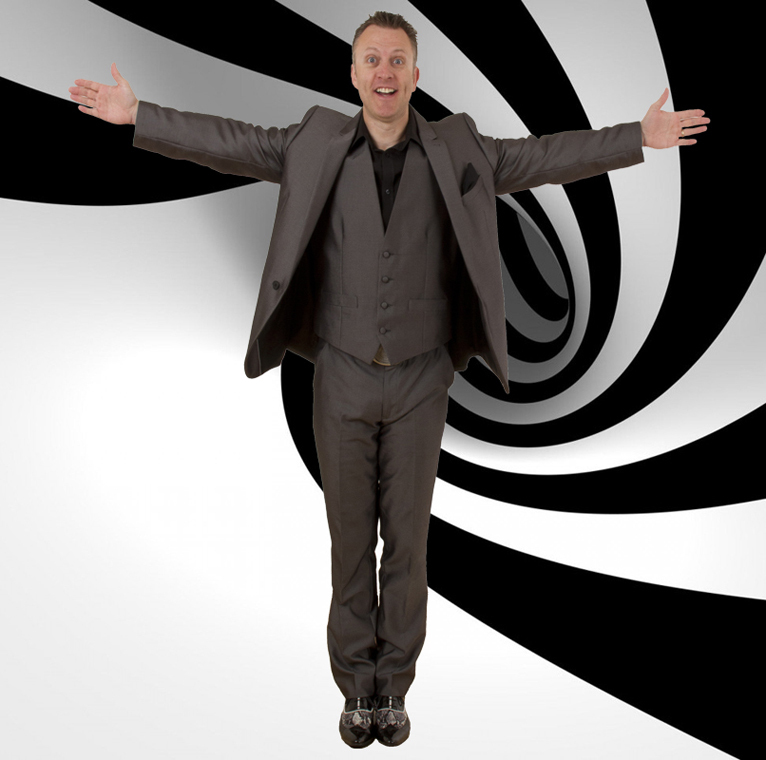 One of the UK's best Comedy Stage Hypnotists performing today. Fast paced and hilariously funny, the one your guests will be talking about for years to come. Very sought after for both his Comedy Hypnosis Show and his Magician skills. Performances can be tailored to meet your requirements and typically last from 45mins - 90 mins. He provides his own self-contained PA system so quality guaranteed. Suitable for Corporate, private, military, weddings, birthday, stag, hen, college, university, pub, club, and holiday camps etc. Just about any occasion. Fully insured to perform stage hypnosis (Public Liability Insurance). Complies with the 1952 Hypnotism Act and UK Government Guidelines regarding Hypnotist for Entertainment. When watching hypnosis on television there is always that niggling feeling "is it real", "are those people stooges"? Once you book for your special event you will be left with no doubt what so ever that you have witnessed something very real indeed. It is a very different experience when you see your friends doing things they would never dream of doing, your friends saying thing they would never normally say. This is the show everyone will be talking about for years to come. It is also the chance for YOU to experience what it is like to be hypnotised. The show where you and your friends get to be on stage, have a fantastic time and be the STARS OF THE SHOW. All shows are family friendly and no one will be offended or embarrassed in any way. If you want rude and lewd then you have come to the wrong place. During the performance you will witness your normally shy and mild mannered friends acting out scenarios that you wouldn’t have thought possible. Imagine friends riding the favourite horse in the Grand National. Imagine friends believing that they are Goldfish swimming around their bowl and blowing bubbles to the audience. Imagine your friends believing that they are famous celebrities dancing and miming to their greatest hits. You don’t have to imagine any of the above as just by booking you will witness it all and a whole lot more, for yourself.